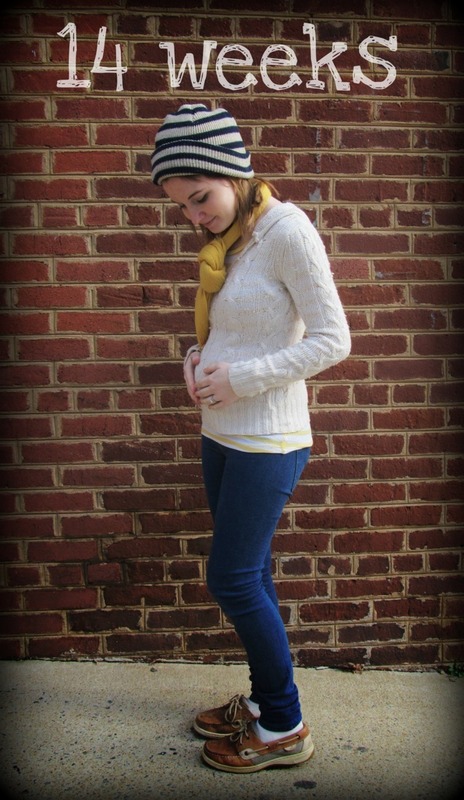 Fourteen Weeks! Little A is now the size of a lemon. I am feeling much more energetic: washing dishes, blowdrying my hair, & no longer changing out of pajamas into pajamas! I am much hungrier. Lucky Charms, clementines, strawberry fruit snacks, & walnuts are our favorites. I find myself wandering over to the baby dept of any store I am in, just to pick things up, coo over them, and then put them back because I’ve got the self control now that I know I’ll lack once I find out Little A’s gender.